Westerners are asking themselves what will remain in the country they have spent the last decade trying to rebuild. There is a strong belief among foreigners that when international military forces (IMF) pull out, life immediately reverts back to the way it was under the Taliban. Our research, conducted over the past six months in more than seven provinces representing every geographic region in the country, finds otherwise. 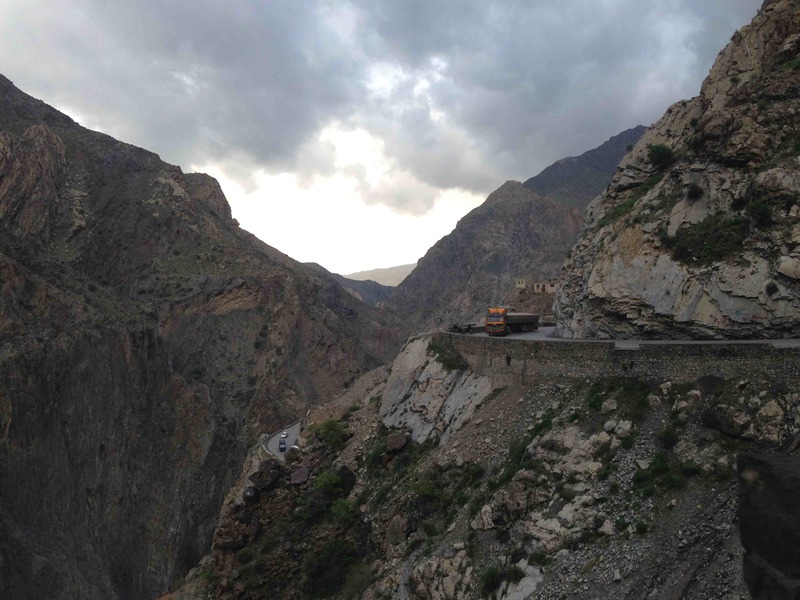 Findings from interviews with community members in rural and urban locations across Afghanistan reveal that there is a sustainable and genuine interest among almost all Afghans in education – and increased access for women to jobs and services, though in the Afghan cultural context. This is particularly true in areas where trained Afghan National Police (ANP) officers are in control, who have received higher marks than usual. This is significant because the perception about the value of girls’ education, in particular, seems to have improved dramatically in the past decade and is likely to endure regardless of the international presence. In fact, community members, including elders, teachers and mothers, often claim that the departure of the international military has improved the mobility of women and encouraged more parents to send their children to school, which has helped increase the overall attendance level of girls and boys at local schools. Before the withdrawal of IMF/ISAF, many parents feared for the physical safety of their children on the road to school, thinking that they will be harmed in Taliban attacks targeting international forces. Since the departure of IMF, attacks and explosions are perceived as decreased by the Afghans, which consequently has improved their sense of security in public. Moreover, parents and community elders have become more aware of the benefits that female education brings to their families and communities as a whole. However, the quality of education in Afghanistan and the shortage of qualified teaching staff remains a serious shortcoming. Women that only work with other women in gender segregated working places, while serving their communities as teachers or health workers and contributing to their household incomes, are often respected. It seems the main objection to women working in public offices derives from the culturally inappropriate behavior that is associated with the idea of women and men working in the same work place. The progress made in improving women’s access to education, work and participation in public life in the past decade should not be taken for granted. Serious challenges still remain, and not all of the news is positive. 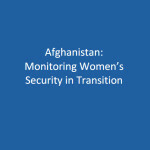 Despite gaining improved mobility and sense of security as a result of reduced IMF presence in their everyday lives in several key provinces, the women of Afghanistan, irrespective of their social background, ethnicity or education level, fear what is to follow after the completion of the security transition. Their worst nightmare is the possibility of another civil war breaking out between the different ethnic and militia groups, in an attempt to fill the power vacuum, left behind by the international military exit. In areas like Laghman and Nangarhar, where the Taliban have already filled that void, signs of increased threats to working women, through letters and anonymous phone calls, have intensified. Women who work outside their homes and lead a public life feel that they would be the first targets of the Taliban if they ever came back to power. If the armed opposition in Afghanistan continues to gain ground in areas that have completed their security transition, women’s mobility, access to rights, education and work are likely to suffer. In Laghman province for example, a mere hour’s drive from Kabul, we found a collapse in security after the transition as well as a collapse in school attendance and the number of working women. Women who have jobs outside the home are often intimidated to leave their jobs and return to their domestic roles in the home. Similar developments were also found in Nangarhar in the east and Helmand in the south. Nevertheless, our research also yielded interesting findings regarding the public perception of Afghan National Security Forces (ANSF) and their ability to provide this security: contrary to what Western experts have been saying for the past several years about the lack of combat readiness of ANSF, the populations surveyed in this study expressed confidence in the ability of the Afghan National Army (ANA) and the Afghan National Police (ANP) to assume the responsibility of securing their country. Indeed, Afghan women, men and elders all requested increased support to ANA and ANP, in the form of professional training and technical equipment. Afghans believe that the security responsibility of Afghanistan should be in the hands of Afghans, but with sufficient support from international forces. Despite a growing public support for ANSF, Afghans still recognize the need for continuing military and police assistance by the international community. The report this essay is based on will be released in the coming weeks.